Actor Aditya Pancholi’s son Sooraj, who is entering showbiz with forthcoming “Hero”, regards Hollywood stars Sylvester Stallone and Arnold Schwarzenegger as his fitness inspirations. "Hollywood star Sylvester Stallone has been a huge inspiration for me after I saw his films 'Rambo' and 'Rocky'. And ever since I have been keen to have a body like him. Following which, I came across this documentary called, 'The Pumping Iron' starring Arnold Schwarzenegger. 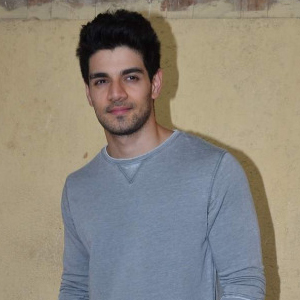 "After watching the same, I was like I want to be like this man (Arnold) someday, and I have tried my best," Sooraj said during a media interaction at a fitness centre here. The actor also shared his fitness regime at the interaction. "I have been constantly training for the past ten years. I had hit gym for the very first time when I was just 14. Maintaining a good body has been my dream and my passion. And it also has been my meditation, working out and weight training," he said. "I must add that to look like a hero, you have to be fit. Agreed that you don't need to have six packs to lead a comfortable life, but at least you have to be fit to be presentable," he added. Co-produced by Salman Khan and directed by Nikhil Advani, "Hero" marks the debut of Sooraj and Suniel Shetty's daughter Athiya. Remake of Subhash Ghai's 1983 movie of the same name, "Hero" will hit theatres on Friday.